Preheat oven to 350°. Combine cake mix and pecans; cut in butter until crumbly. Press mixture onto bottom of a greased 13x9-in. baking dish. Beat cream cheese, sugar, 1 egg and 2 tablespoons milk until smooth; set aside. Stir together sweet potatoes, remaining eggs, remaining milk and pie spice; pour over pecan mixture. Dollop cream cheese mixture over sweet potato mixture. 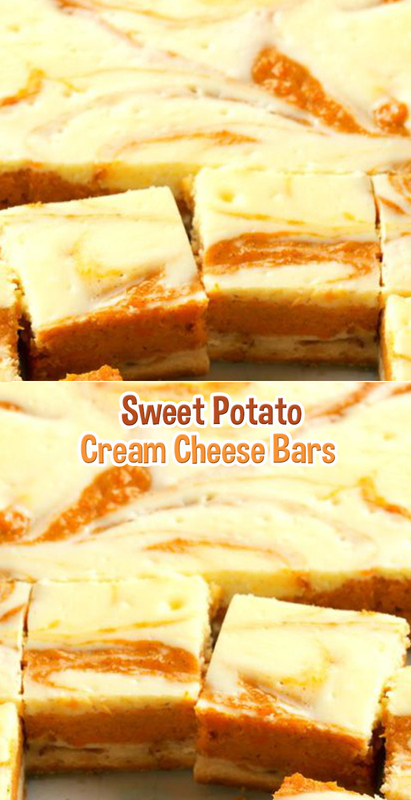 Cut through cream cheese mixture with a knife to swirl into sweet potato mixture. Bake until set and slightly golden on top, about 45 minutes. Allow to cool completely; chill before cutting into bars.